A study by the National University of Singapore (NUS) has found that seniors who eat more than two standard portions of mushrooms – equivalent to 300g or half a plate – per week may have 50 per cent reduced odds of having mild cognitive impairment. 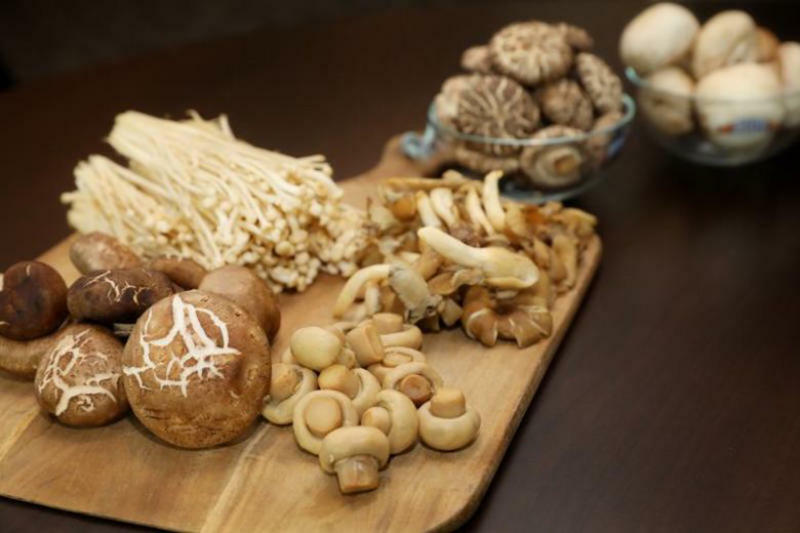 This could be because of the presence of a specific compound called ergothioneine found in almost all mushroom varieties, according to Dr Irwin Cheah, senior research fellow from NUS Biochemistry. The NUS study stated that seniors with mild cognitive impairment display subtle symptoms of memory loss or forgetfulness, as well as a deficit in other cognitive functions such as language, attention, and visuospatial abilities. The study was conducted from 2011 to 2017 and published on Tuesday (March 12). It referenced six commonly consumed mushrooms in Singapore – namely golden, oyster, shiitake and white button mushrooms, as well as dried and canned mushrooms. 600 Chinese seniors living in Singapore and over the age of 60 were assessed through interviews and tests which took into account demographic information, medical history, psychological factors, and dietary habits, as well as their blood pressure, weight, height, handgrip, and walking speed. The participants then took a two-hour standard neuropsychological assessment, along with a dementia rating. An earlier NUS study published in 2016 – also involving Dr Cheah – found that a deficiency in the ergothioneine compound could be a risk factor for neurodegeneration diseases, such as Alzheimer’s. It also found certain hericenones, erinacines, scabronines and dictyophorines contained within mushrooms may promote the synthesis of nerve growth factors, while bioactive compounds inhibit the production of beta amyloid and phosphorylated tau, and acetylcholinesterase, which protects the brain from neurodegeneration. To form stronger conclusions, the research team may look into performing a randomised controlled trial in the future with the pure compound of ergothioneine and other plant-based ingredients. Esta entrada se ha publicado en Alimentación, Artículo, Cerebro, Cosas Nuevas, Efectos Secundarios, Estudio, Prevención, Sabías que, Salud, Vale la pena ver y se ha etiquetado como Alzheimer, antiinflamatorio, antioxidante, Cerebro, champiñones, deterioro cognitivo, ergotioneína, hongos, memoria, menor riesgo, neurodegeneración, olvido, personas mayores. Marca el vínculo permanente.